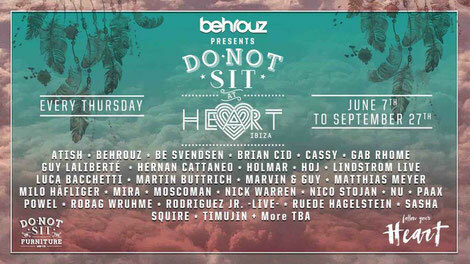 Miami’s Do Not Sit On The Furniture makes its debut in Europe with a season of events at Heart Ibiza. Running every Thursday from 7 June until 27 September and spearheaded by Behrouz, the party aims to offer intimate vibes and tasteful line-ups. It promises to ‘bring something different to the White Isle’ with guests like Cassy, Sasha, Lindstrom live, Robag Wruhme, Moscoman, Martin Buttrich, Tim Green, Matthias Meyer and many more all playing throughout the season. Behrouz is a DJ who plays the “right music for the right place at the right time.” A set from him draws on all his experience of 30 plus years of music in one night and he is a long time Burning Man and Robot Heart favourite who founded the Do Not Sit On The Furniture party in Miami. Do Not Sit On The Furniture is an underground movement ‘dedicated to fresh and meaningful dance music’, and it started at a time when commercial sounds prevailed in Miami. The club is all about love, good music and building a community, all the while aiming to give something back. The party plays out in a personal environment with only 130 guests each time. The DJs are connoisseurs booked for their musical knowledge rather than their big name and that policy has apparently helped make the night a cult favourite. 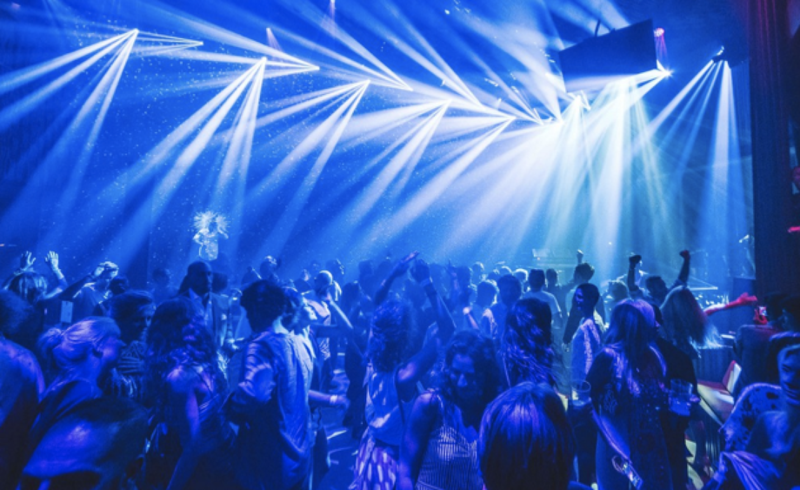 Heart Ibiza is a creative experience that fuses gastronomy, live performance art and live music, and also has an open air terrace and immersive club space. The season kicks off on 7 June with a live set from Rodriguez Jr, plus a DJ set from Cassy, Behrouz and residents. After that, the rest of the residency will cover plenty of house and techno styles and will see the likes of Sasha, Lindstrom live, Guy Laliberté, founder of Cirque du Soleil, Pampa's Robag Wruhme, Nico Stojan, Holmar, Atish, Hoj, Timujin, Cocoon's Tim Green, prog duo Hernan Cattaneo and Nick Warren, Marvin & Guy, Moscoman, Martin Buttrich, plus Matthias Meyer, Luca Bachetti and plenty of surprise guests play along the way. The events on 6 July and 2 August are co-produced with Babel and Gazgolder Club respectively.